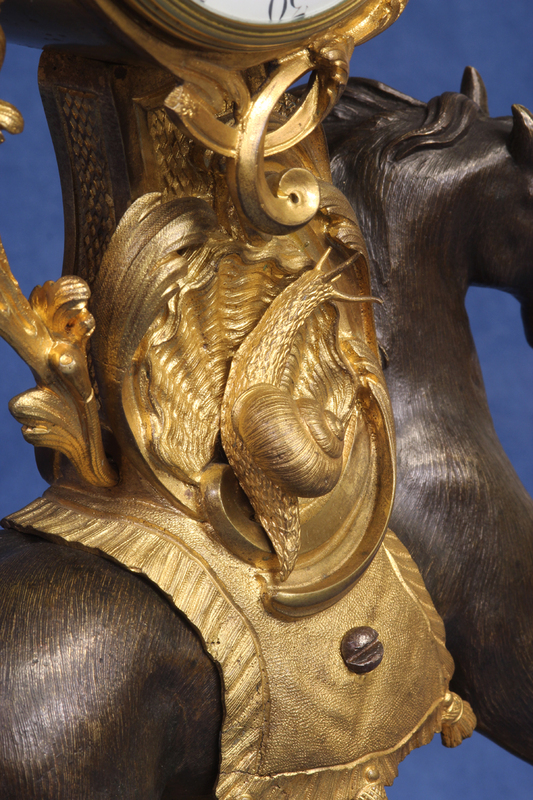 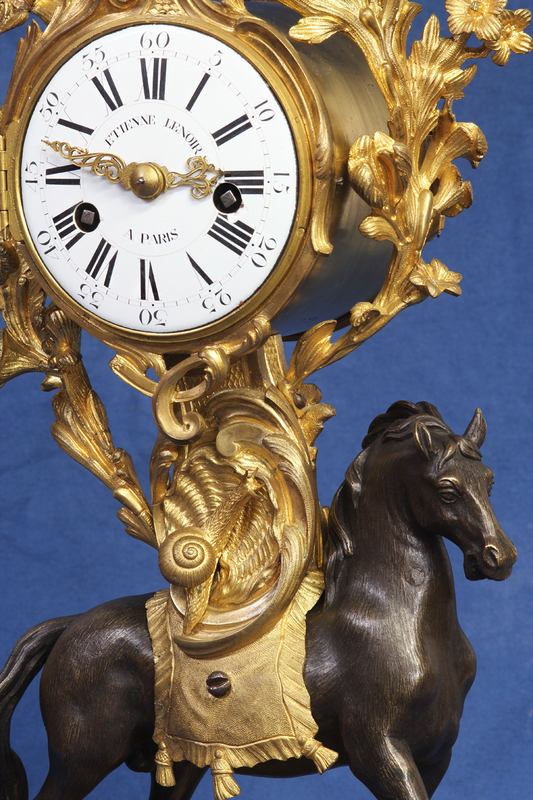 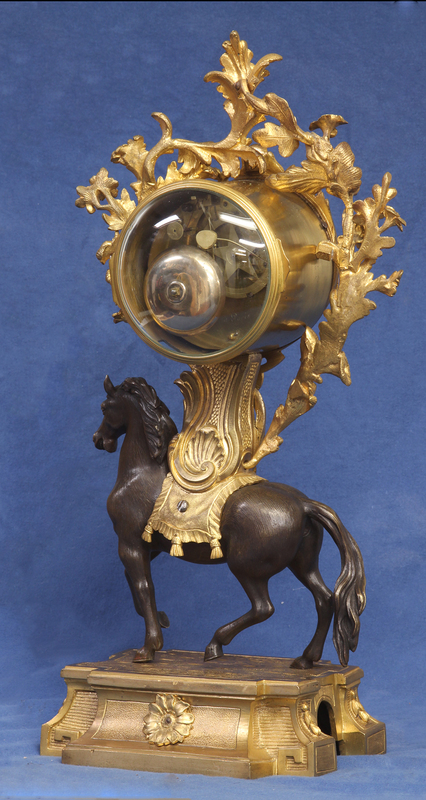 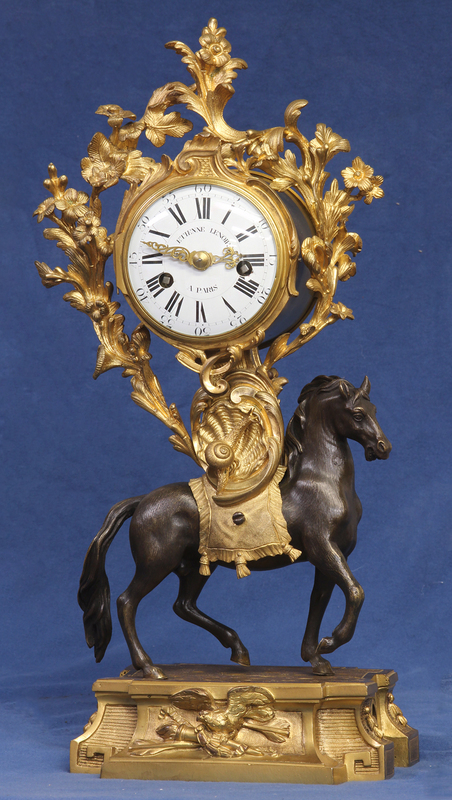 The ormolu and patinated case features a prancing horse with a finely textured finish, a wellcast snail, scrolling foliage above framing the clock and a cast and textured base. 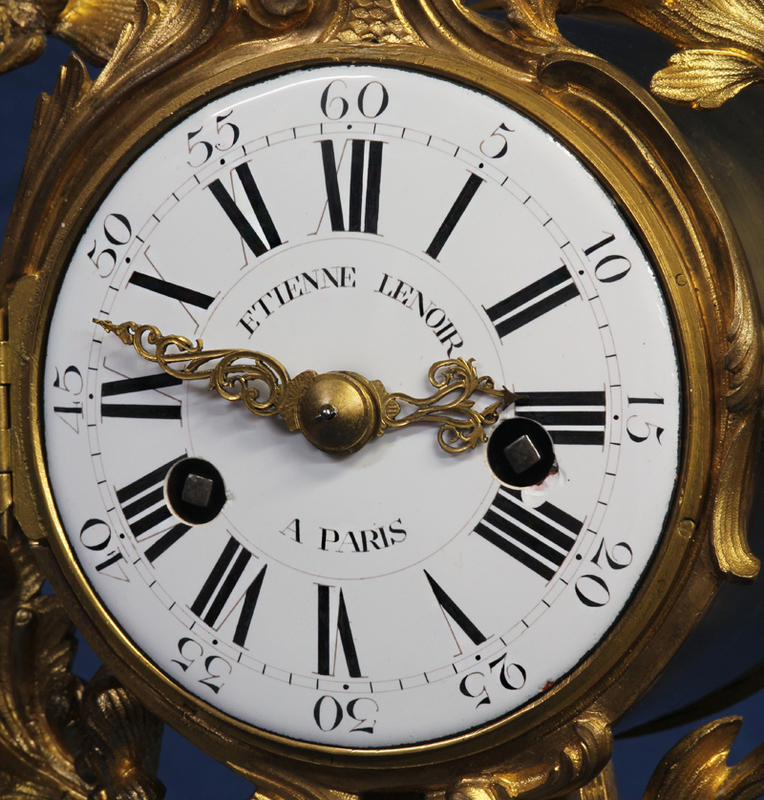 The finely painted white porcelain dial has black Roman numerals for the hours, Arabic five-minute marks, finely cast and finished hands and is signed by the clockmaker, ‘ETIENNE LENOIR, A PARIS’. 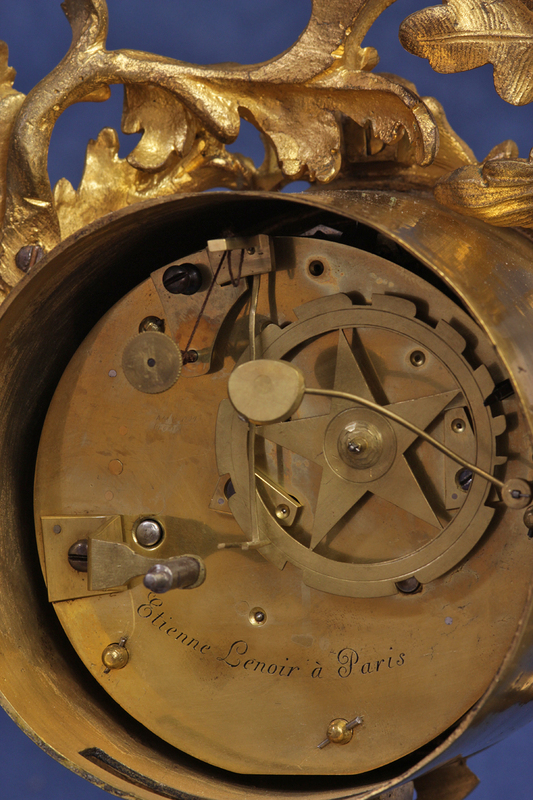 The eight-day time and strike movement has asymmetrical winding arbors, a silk thread suspension adjusted for fast/slow at the back, a star shaped countwheel and is engraved ‘Etienne LeNoir A Paris’.